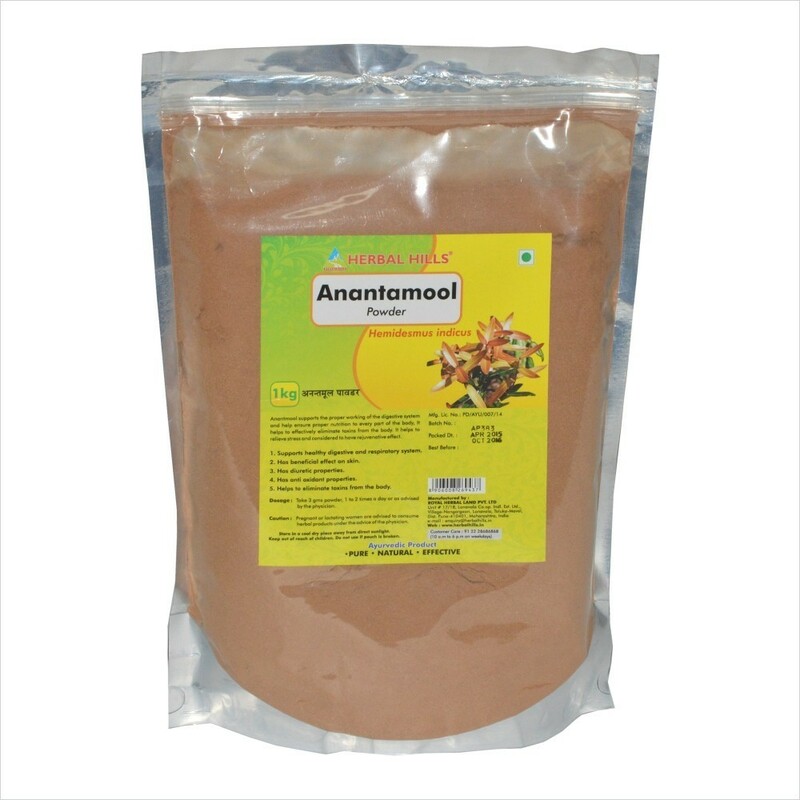 Anantamool Powder - 1 kg Pouch Anantmool supports the proper working of the digestive system and help ensure proper nutrition to every part of the body, It helps to effectively eliminate toxins from the body. It helps to relive stress and considered to have rejuvenative effect Benefits : - Supports healthy digestive and respiratory system. - Has beneficial effect on skin. -Has diuretic properties. -Has anti oxidant properties -Helps to eliminate toxins from the body.